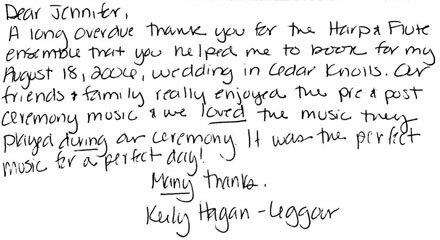 I just wanted to thank you for the wonderful job you did at the wedding. It was everything I expected. 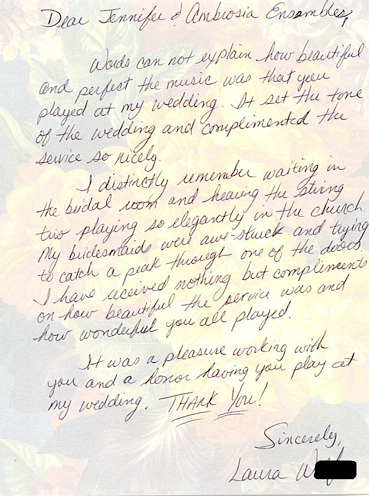 Thank you again…I will definitely recommend you if anyone is looking for someone to play at their wedding or affair. 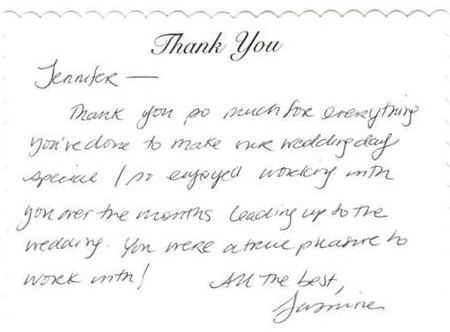 Your attention to detail and top-notch client service have made working with you such a pleasure. I will be sure to pass along your information to anyone in need of musicians for special events. We just wanted to email and tell you what a beautiful job you did at our wedding ceremony and cocktail hour. Many people came to us with many positive comments about your performance. 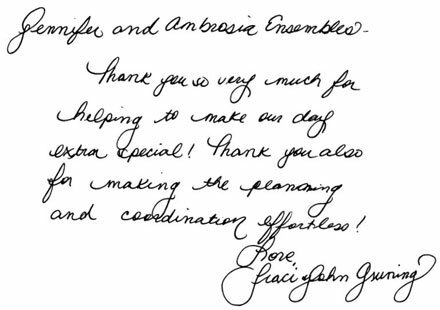 I’m very glad we chose Ambrosia Ensembles and you to play at our wedding. I will refer you to any family or friends that are in need of a classical guitar player or other instrumental ensembles. Serving Northern and Central NJ, Northeastern PA, and New York City areas. © 2005-2019 Ambrosia Ensembles. All Rights Reserved.